We’ve been waiting a long time to see the “world’s first giant robot duel,” and next week we’ll finally get to watch the metal-on-metal action. 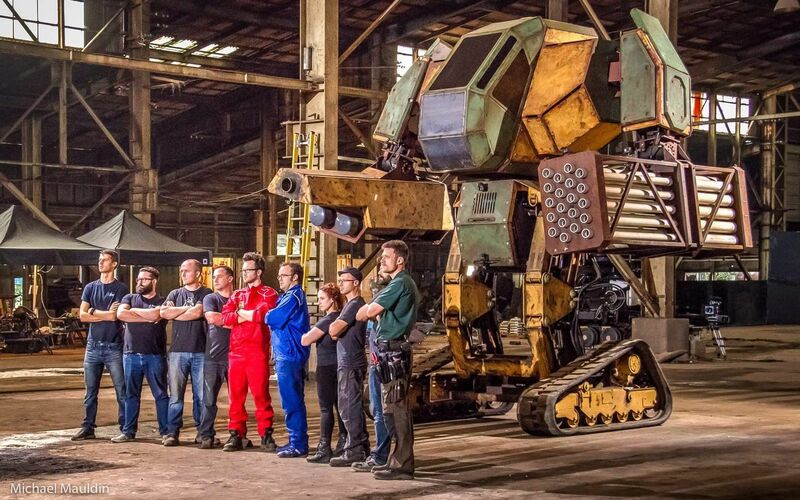 If you’ve forgotten the background, all the way back in July 2015 a US team of engineers (MegaBots Inc.) challenged their Japanese rivals (Suidobashi Heavy Industry) to a fight, but the difficulty in finding a venue and upgrading the robots has delayed the bout. Well, next Tuesday, October 17th at 7PM PT, the duel will finally be streamed on Twitch for all to see. It won’t be a live event though. In a press release, MegaBots Inc, said that the duel consisted of “multiple rounds of fighting,” and that in order to give the teams time to repair their bots, the rounds were spread out over several days. This meant the fight “could not be livestreamed like a traditional sport.” The duel was held in an abandoned steel mill in Japan, with no spectators beyond the two sets of engineers. Commentary was provided by Mike Goldberg of the MMA and robotics expert Saura Naderi. If you’re expecting something like Pacific Rim on smaller scale (or BattleBots on a bigger one) you may be a tad disappointed. MegaBots’ Eagle Prime and Suidobashis’ Kuratas are both big bots (16 and 13 feet tall, respectively), but they’re pretty slow and have limited mobility. As robo-fights go, this is more likely to be like be like Rock ‘em Sock ‘em robots, with the two mechanical creations squaring off and exchanging blows until one is incapacitated. Still, Rock ‘em Sock ‘em robots don’t weigh 12 tons or come equipped with 8-foot chainsaws. It’ll be worth tuning in to see what happens.